Traditional academic publications have paid little attention to the phenomenon of food blogs. Sociologists, political scientists, and media studies writers have written about the subject of blogs and blogging for their various academic journals. These writings generally focus on the ways blogs impact business techniques and transform educational experiences. Research also is heavily focused on the ways that blogging opens up avenues of communication and political action that was not otherwise possible or at least not as previously accessible. While the literature on these subjects range from utopic portraits of blogging to pieces that see blogs as disrupting publication processes in a negative way, the majority of the pieces show the potential of blogs for transforming dialogues and diversifying who is invited to the conversation. Despite the preponderance of scholarly journal articles about the phenomenon of blogging, very few pieces look at food blogs. Plenty of people write food blogs—so much so that the genre has become somewhat of a joke within the larger commentary on foodie culture. Despite this, only a few scholarly journal pieces have ever been published about the subject. In the skit “Is it local?” on their cult-favorite television show Portlandia, Fred Armisen and Carrie Brownstein famously satirized millennial foodie culture by depicting a couple who abandon their romantic date to go to the farm where the chicken from their dinner came from, telling the waitress to hold their seats until they returned. This popular skit rang true for the many viewers aware of the influence of Michael Pollan and Barbara Kingsolver’s work; who have had to listen to one nutrition “expert” after the other claim that blueberries are the elixir to long life or that carbs are the enemy; who ate lots of kale until the New York Times recently said that kale might not be good for you; and who have way too many friends who run a food blog with the theme "On New Year's Eve this seemed like a good idea." The food blog is one of the most pivotal aspects of the foodie culture that Armisen and Brownstein joke about on their show and also in interviews with bon appétit. One question a recent Buzzfeed quiz titled “How Big of a Millenial Stereotype Are You Really,” asked whether the reader had “started a blog.” In previous renditions of similar quizzes, the question has been more specific, asking if users had “started a food blog.” The ubiquitous food blog and its link to the millennial stereotype have spread throughout popular culture; especially for, but not exclusively to, white, upper middle class cultures. It would be ahistorical to argue that there has never been as great of a fixation on food as now -- Ken Albala’s work on eating in the Renaissance would challenge any such claim. However, our current eating culture is unique. Technology has altered the foods we eat: industrial food chains let us eat apples from New Zealand in April and asparagus in November! Technology has also transformed the way we talk about the foods we eat and the people with whom we make those connections via blogging. As someone who actually edits a food blog, I realize I am a cliché. Although the Historical Cooking Project is about doing something more than Instagraming every meal that we cook and buy, we are still part of this foodie blog culture and this space is worthy of analysis. 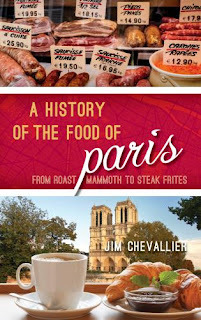 The transformation of food writing over the centuries through various media from cookbooks to remedy manuals to the restaurant reviews in the New York Times (a history documented by David Kamp) to thousands of blogs, books, and articles about food written by the elite, the middle class, the educated, and less educated has been enormous. With the exception of Paula Salvio’s article on food blogs and post-feminist domesticity, as well as Andrew Cox and Megan Blake’s piece that used interviews and analyzed the activity on the UK Food Bloggers Association web site to understand how people conceptualize food blogs and the role of information on them, few scholars have published their views about food blogs within academic journals or books. 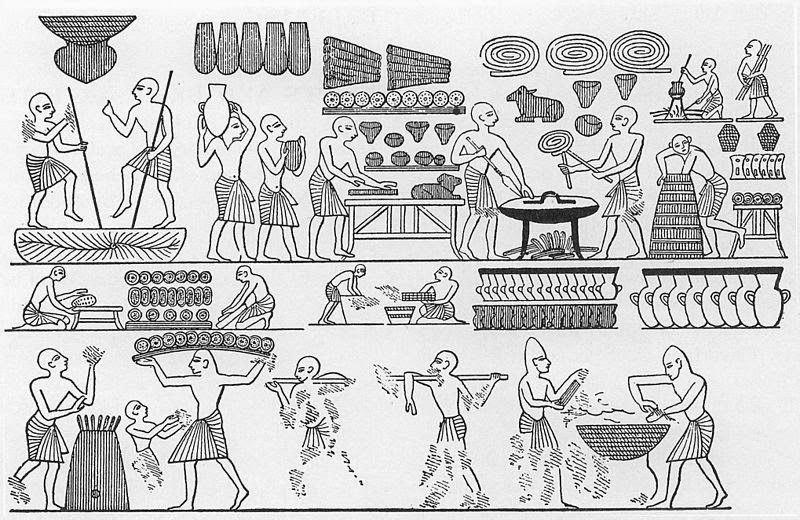 Food history is a growing field whose parameters are still in the process of being defined. Currently within the field, a myriad of works ranging from biographies, micro-histories, ethnographic histories, touch on wide-ranging topics such as focusing on a single chef, tracing a single food product like sugar around the world, and telling the story of the oven. The field of food history appears fairly interdisciplinary and possibly blurs the distinction between popular and academic history. Food history can appear to be at the margins of academia at times and many popular food histories actually make a significant contribution to our understanding of food and society. How do we reconcile these works? Blogs speak to this question of the margins. They have the potential to perpetuate serious scholarship (often however without peer review) at a faster rate than journals and books. However, with little regulation and oversight, many academic institutions deem blogs as less worthy. To better understand the state of food blogging, I looked at twenty-three different food blogs. Ten of the blogs were ranked as the top ten food blogs according to Blogrank, which uses over 20 different factors to rank the blogs in any category (Some of the factors include: RSS membership, incoming links, Compete Alexa and Technorati ranking, and social sites popularity). The other thirteen were blogs that I knew to be popular (such as Pioneer Woman), blogs that Nathalie Cooke had recommended, blogs that follow the Historical Cooking Project via Twitter, and blogs run by some of my favorite academics. Based upon these questions I determined whether or not I believed that the blog was scholarly or not. I relied upon this series of questions as they were previously useful in determining whether or not a text was scholarly or not. However, blogs are different beasts. In addition to the four criteria, I was using a fifth form of assessment that I hadn’t explicitly stated. I had kept track of information such as the gender of the author, whether the blog was written by an individual or a collective, what the blog’s theme was if it had one, if the writing focused on personal aspects of the author’s life such as family and intimate details, if the writer of the blog had also published a book, and what country the author lived in. Not until I had assembled my entire excel spreadsheet did I realize that this background information was a key factor in determining whether or not I deemed a blog scholarly. One reason that the four initial questions were insufficient for this analysis was that, with the exception of Feeding America: The Historic American Cookbook Project, none of the blogs were published by a university or scholarly press. Blogs such as Ian Mosby’s, which seemed pretty evidently scholarly due to the author's laying bare their critical assumptions, marking their critical lines of influence, and presenting original arguments, are self published. Some of Mosby's own pieces are cross-published, which can complicate the question, but overall I found that the publisher was not the determining aspect for whether or not a blog was scholarly. Even Gastronomica, a respected scholarly publication, blurs the lines of scholarly publication due to its sponsorship from wine councils and the like. I also realized that the remaining three questions I asked sometimes only marked whether or not a blog was systematically conceived rather than scholarly. For example, the Pioneer Woman blog lays bare its critical assumptions and epistemological positionality (the importance of food for someone from the South who takes seriously her role as housewife in the country lifestyle); the author marks her critical lines of influence -- “I channel Lucille Ball, Vivien Leigh, and Ethel Merma”- and has a cohesive argument that at least readers find somewhat compelling or original. However, despite answering to the initial criteria, in no way would I view the Pioneer Woman blog as scholarly. The pionneer woman blog is a case and point that the author's background and their intentions behind their writing matters. It perhaps is not so surprising that the blogs that I deemed to be scholarly were written by scholars. Scholars have had years of training in order to write like scholars. This is not to say that everything a scholar writes is scholarly. Ken Albala’s blog is sometimes scholarly and sometimes not. He writes about the state of food research and the classes he offers, but he also includes many personal pieces about his favorite foods. In making these distinctions, I am revealing my own biases. I have read Sandra Harding, bell hooks, and Patricia Hill Collins and have an awareness of the debates around standpoint epistemology. As a result, I do not automatically discount writings that use personal perspectives as non-academic (this is evident in my own writing as well). However, most of the personal blog posts do not link back to the scholar’s own research but just to his own preferences. The position of the author is key to determining whether or not a blog is scholarly. Academics are often interested in the way that their work on blogs speaks to their discipline. Scholarly blogs talk of the state of scholarly food blogging, as is evidenced by the posts by Chi-Hoon Kim and Ian Mosby. These posts speak to the relationship between their different types of publications (books, blogs, and journals). Scholarly blogs are also interested in furthering the work of their discipline and they use the space of the blog to play with new techniques for expanding what it means for work to be scholarly. The blog allows them to experiment with different methodologies. Blogs like the Historical Cooking Project and the Berlin Cookbook, though not the same, play with research techniques. Can we learn new things about the past by trying to cook the recipes themselves? What does the experience of cooking tell us about past social and economic relations? These questions are not new and have been explored by Barbara Ketcham Wheton and Elizabeth Driver. 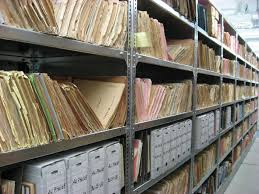 However, the blog allows historians the opportunity to work through some of these questions without being constrained by journal guidelines (an issue faced by Susan Leonardi when she tried to incorporate her own recipes within her academic writing and spoke several times about fearing punishment for her experimentation). Thus the scholarly food blog does more than lay bare the writer’s critical assumptions, mark their critical lines of influence, and make arguments. It also speaks to work by other scholars within the field of food studies in order to further the field. Scholarly food blogs have the potential of expanding the type of work that is possible within food studies and food history. However, many scholars and institutions are wary of these new publications as they challenge the regime of academic publishing. As these blogs offer innovative and exciting scholarship, we need to begin to take these posts seriously. Churchill, Daniel. "Educational applications of Web 2.0: Using blogs to support teaching and learning." British journal of educational technology 40.1 (2009): 179-183; Dickey, Michele. "The impact of web-logs (blogs) on student perceptions of isolation and alienation in a web-based distance-learning environment." Open Learning 19.3 (2004): 279-291; Kim, Hyung Nam. "The phenomenon of blogs and theoretical model of blog use in educational contexts." Computers & Education 51.3 (2008): 1342-1352; Sweetser, Kaye D., and Emily Metzgar. "Communicating during crisis: Use of blogs as a relationship management tool." Public Relations Review 33.3 (2007): 340-342. Drezner, Daniel W., and Henry Farrell. "The power and politics of blogs." Duke (2004): 14-18; Harp, Dustin, and Mark Tremayne. "The gendered blogosphere: Examining inequality using network and feminist theory." Journalism & Mass Communication Quarterly 83.2 (2006): 247-264. Brownstein, Carrie, and Fred Armisen. "Portlandia: Farm." Portlandia. IFC. Portland, Oregon, 21 Jan. 2011. Television. Berman, Jennifer. "Kale? Juicing? Trouble Ahead." Opinionator Kale Juicing Trouble Ahead. New York Times, 1 Jan. 2014. Web. 13 Apr. 2014. "Talking Food with Portlandia's Fred Armisen and Carrie Brownstein." Bon Appétit. N.p., n.d. Web. 13 Apr. 2014: http://www.bonappetit.com/people/article/talking-food-with-portlandia-s-fred-armisen-and-carrie-brownstein. Broderick, Ryan. "So How Big of a "Millenial" Stereotype Are You Really?" BuzzFeed. N.p., 11 Apr. 2014. Web. 13 Apr. 2014. <http://www.buzzfeed.com/ryanhatesthis/so-how-big-of-a-millennial-stereotype-are-you-really>. Albala, Ken. Eating right in the Renaissance. Vol. 2. Univ of California Press, 2002. Kamp, David. The United States of arugula: how we became a gourmet nation. Random House LLC, 2006. Salvio, Paula M. “Dishing it Out: Food Blogs and Post-Feminist Domesticity.” Gastronomica: The Journal of Critical Food Studies, Vol. 12, No. 3 (Fall 2012): 31-39. Cox, Andrew M., and Megan K. Blake. "Information and food blogging as serious leisure." Aslib Proceedings. Vol. 63. No. 2/3. Emerald Group Publishing Limited, 2011. Wheaton, Barbara. "Finding real life in cookbooks: the adventures of a culinary historian." Humanities Research Group Working Papers 7 (1998). Driver, Elizabeth. "Cookbooks as Primary Sources for Writing History A Bibliographer's View." Food, Culture and Society: An International Journal of MultidisciplinaryResearch 12.3 (2009): 257-274. Leonardi, Susan J. "Recipes for reading: Summer pasta, lobster á la riseholme, and key lime pie." Publications of the Modern Language Association of America (1989): 340-347. My spreadsheet is written in a very informal way, but if you would like I can email it to you. Thank you Ken Albala and Sanam Arzoo. Amazing how fast this list has become obsolete. Several of the links (which may once have linked to someone's blog) now go to advertising-only sites, some of the bloggers are no longer posting anything, and others aren't really blogs in any normal sense -- that is, the site is a traditional website with links to sub-pages, does not have a series of posts appearing most recent first. There is a interesting story you have shared lot of work and get the best chance for the making in there same my site dissertation assistance service life student helping for us. Great post.. Thanks for sharing the information with us. I also bookmark your site and visit it in future for more info. Thank you for sharing your thoughts. You have done really good work. I really appreciate Under Armour SpeedForm Slingwrap Herre Sko Marine blå / Hvid your working style at the end just my request is please share with us some more great post! It's nice that you share such well-written posts with us. Searching for the best college essay writing service? Thankfully, you have landed on the right page then. My Assignment Help is the name that every student should remember when it comes to getting college essay drafting services. It is not because we as a writing service provider understand what students need but because we fulfill their needs perfectly. Writing an essay may not seem like an intimidating task for a student, but those who are not quite gifted with their writing abilities may find it hard to boost their imagination. This is why some students produce mediocre college application essay and never get close to achieving the highest score. But if you harbor a dream of obtaining straight A’s but at the same time grappling with the same problem, then you can change that with the our essay help at Allessaywriter. As dissertation hypothesis writing provides direction to your research and offers an explanation to related outcome, it is important for you to know what kinds of dissertation hypothesis exist. You can also take professional dissertation hypothesis help UK to know more. The segmentation and positioning strategies are designed with a prior focus on the mutual needs and demands of wide-ranging target market classified into countries, businesses and consumers. Segmentation positioning assignment help ensures you get professional assistance in assignment writing task.